As Mayor of Miramar, Fla., and a former football player for Florida State University, Wayne Messam, a 44-year-old business owner, is used to achieving success at a high level. After announcing his bid for the presidency Thursday, Messam believes he has a real shot at continuing his habit of success. A small-business owner for 20 years, he’s pitching himself as a candidate with an understanding of how government works on a local level. Messam, son of Jamaican migrants, grew up in a small town near Lake Okeechobee, where his mother worked as a housekeeper while his father cut sugar cane before becoming a mechanic. 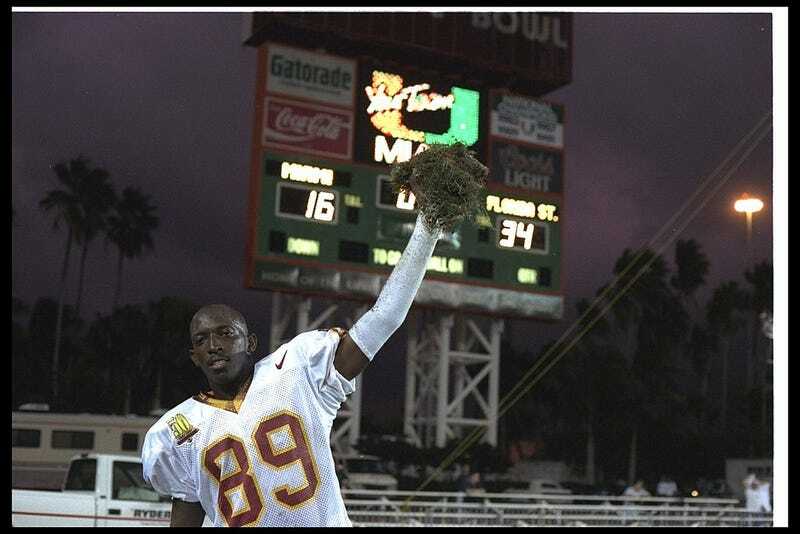 He played on the 1993 NCAA national championship team, hauling in six catches for 103 yards in the title game. Sure, he was never a governor or a senator. Neither was Donald Trump. Beyond his affinity and appreciation for local politics, Messam stands alone as the only Democratic candidate from a battleground state. Miramar, a city of 160,000, boasts more residents than South Bend, where Pete Buttigieg calls the shots for 103,000. Messam, who says he favors universal healthcare, student loan forgiveness, infrastructure projects and addressing client change says he’d repeal Trump’s corporate tax cuts and ban military-style weapons. Turning his eyes to the rest of the world, Messam looked to China to address our lack of vision from leadership. Messam has been traveling to South Carolina, courting local party officials in a rural, football-mad state where his small-town roots and FSU credentials may sway voters. Messam believes a big enough splash during the state’s early primary will qualify him for national debates. Though he’d be the third black candidate and the least known amongst his peers, Messam is hoping to gain enough ground to introduce himself to a national audience.